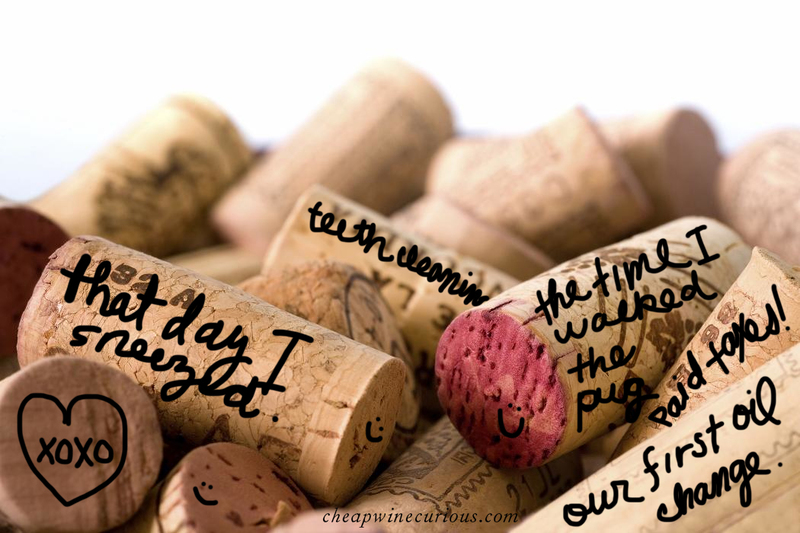 Wine Journaling – something to do w/used corks – that’s NOT an eyesore! So many corks – so little time to craft creepy gifs for your wino buddies like hot glue gunned “cork boards” – which only fill the basement or provide luxury housing to spiders in the garage. Well this idea is actually useful in a sentimental way and so easy – just keep the Sharpie handy. I will actually try this to add value and virtue for keeping those dust collectors around. I admit – I save every sparkling wine/champagne cork I ever opened – even the cheap ones from the lesser bottles. Looking at that vintage ice bucket on my mantle fill up with spent corks makes me feel happy and reminds me of those cherished moments when the bubbly was flowing for some special occasion, like when I toiled over laundry. Just hide them when the authorities drop in for tea – but then again – who’s counting anything but the goodtimes.